In 1927, we moved into our present building, designed by the architectural firm of Charles Bolton and Sons of Philadelphia. Charles W. Bolton & Son is another of those family enterprises that flourished in early twentieth-century Philadelphia. And, like the Durang and Dagit dynasties, this firm specialized in ecclesiastical design. However, whereas the Durangs and Dagits made a specialty of Catholic churches, Charles W. Bolton and his son Charles L. took on Protestant churches, especially Presbyterian, Methodist Episcopal, Lutheran and Baptist. In fact, their commissions were not limited to the Philadelphia area; and the firm provided designs for churches all across the country. 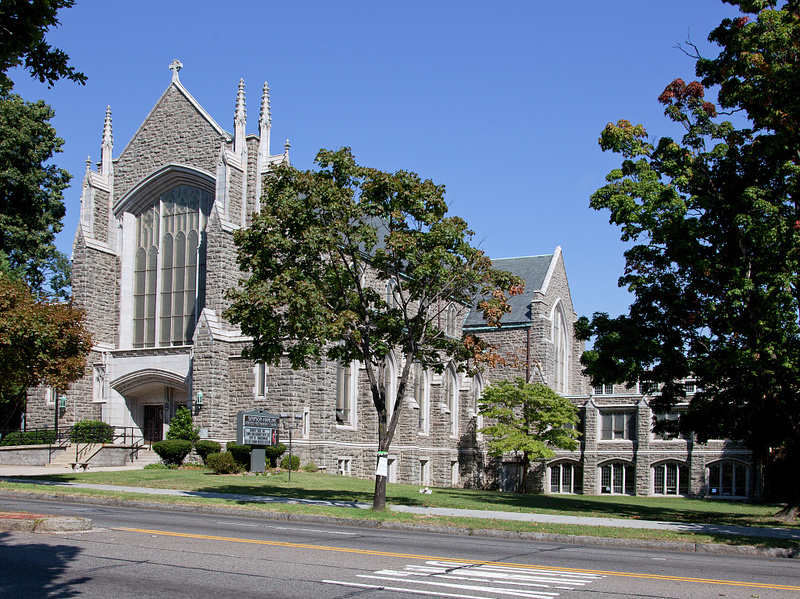 Included in the work completed after Charles L. Bolton's admission to the firm are: Central Park M. E. Church, Buffalo; St. Paul's M. E. Church, Oneonta, NY; the Hamline M. E. Church, Washington, DC; St. Andrew's P. E. Church, Washington, DC; Grafton Avenue Reformed Church, Dayton, OH; Trinity Reformed Church, Detroit; Mt. Rona Missionary Baptist Church, Washington DC; Wallace Memorial United Presbetyrian Church, Washington DC: Petworth Baptist Church, Washington DC; and Second Presbyterian Church, Cedar Rapids, IO. In style, most of the churches produced by the firm were a revised form of the Gothic. Charles W. Bolton, one of the leading ecclesiastic architects in Philadelphia during the early twentieth century, was born in Zelienople, PA. He matriculated at Lafayette College in Easton, PA, in the Class of 1880, but did not graduate; and by 1881 he was employed in Pocahontas, VA, as an architect with the Southwestern Virginia Mining and Development Co., which pioneered and developed the town. By 1884 Bolton was established as an architect in Philadelphia and continued his practice until his death in this city. He was associated with several other architects, in addition to his son Charles L. Bolton, including D.E. Hibbert, John J. Dull, and George Savage; but the major change to his firm came in 1906 when his son was formally made a partner and the firm name changed to Charles W. Bolton & Son. As early as 1884 Bolton' s designs for Presbyterian churches were being included in the Church' s Board of Church Erection Annual Reports. His greatest competitor with the Board of Church Erection's publication was Isaac Pursell , but Bolton appears to have been both more prolific and more adaptable than Pursell since his church designs can also be seen for Methodist Episcopal, Lutheran, and Baptist churches across the country. 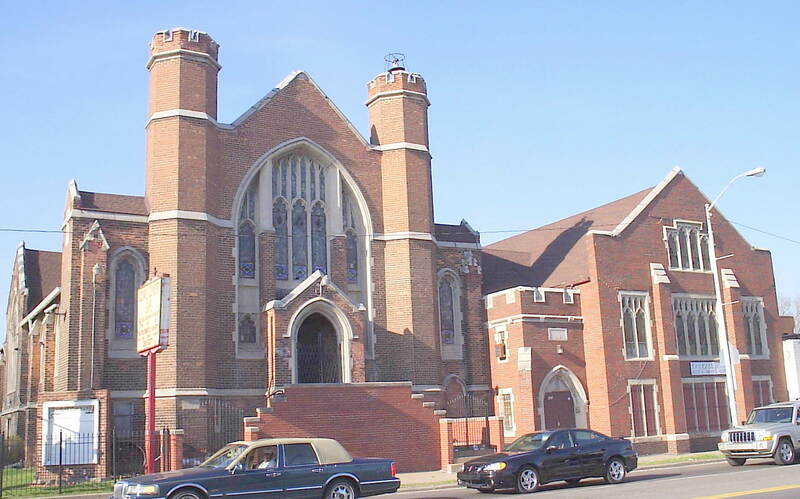 Although the early projects reported by the Philadelphia Real Estate Record and Builders Guide for Bolton include some general work, it is apparent that Bolton's chief source of income derived from church designs. In later years Bolton also returned to Lafayette College, where he designed Brainerd Hall (now Hogg Hall) among others. In his obituary Bolton is credited with designing more than 500 churches across the country. Charles L. Bolton inherited one of the most prolific architectural firms associated primarily with church design in Philadelphia. 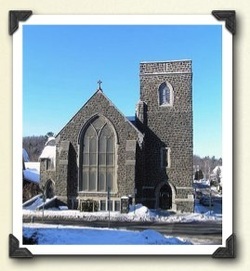 His father was Charles W. Bolton, an architect whose specialty was Presbyterian churches. Charles L. Bolton graduated from Central High School in Philadelphia and from Lafayette College in 1904 with his degree in civil engineering. He then entered the University of Pennsylvania's program in architecture and received his B.S. in Architecture in 1906. Following graduation from the University, he undertook supplementary courses in architectural design at the Pennsylvania Academy of the Fine Arts (1906-1908). Bolton entered his father's firm upon graduation, and his father immediately revised the firm name to Charles W. Bolton & Son. This name continued until his father's death in 1942, at which time Bolton became the sole owner of the firm. Although he continued a practice that was based on ecclesiastical design, Bolton also worked with the Emergency Fleet Corporation during World War I; and World War II found him engaged in the conversion of buildings to war workers' housing. Bolton became a member of the AlA in 1942. He was also a member of the T-Square Club and an honorary member of the Pennsylvania Society of Architects. †Courtesy of & written by Sandra L. Tatman. Philadelphia Architects and Buildings Project.